I would like to begin this message by congratulating everyone on a fantastic first term for 2018. This has been a huge term with new initiatives introduced with the aim of improving the learning and care that takes place here @ TC. All of our students and staff have risen to the challenges set to them with some great outcomes produced. There have been many examples of this seen during SSDP this week. The box wars was a popular event where whilst on the surface this looked like people running around wearing cardboard, this was actually a demonstration of students researching, evening management, safety management, planning, teamwork and teambuilding, leadership, mathematical skills and critical thinking to just get to the event. Considering that SSDP is learning time in addition to the learning time that we already had, and that this was just one of the many activities taking place in the week, to then see the sense of community within these students with a diverse range of ages and backgrounds emphasised why our SSDP sessions are a real bonus to our school community. Our next challenge is to co-create these high quality learning opportunities with all of our students. Whilst carrying out Tours of the School for prospective Entry Parents over the past few weeks, I quite often get asked by parents what are the flaws with TC, or what areas are there for improvement. The impression that you get walking around the school is of one that is calm, with many many happy faces as learning is taking place. I have to give the reality that here at TC we will never claim to be nirvana. We are a community that does not think that TC is a job done, but instead are always looking to make improvements to what we are doing to improve the learning and care that we all provide to each other. We do not change as a school for the sake of change, but to always strive for improvements and will continue to do so in the future. If you do not already follow our Facebook page, I would highly encourage you to do so. Our Facebook page is managed by members of our Student Employability Skills Program who are always posting to share the great things that happen here @ TC. If you are a student who is carrying out something that you would like to share through Facebook, perhaps your SSDP project or something this is happening in class you should send some photos to our facebook team who can look at sharing this with others. I would like to wish everyone a safe and restful Easter. I look forward to welcoming you back to term 2 in April as we look to continue to make TC such an amazing community. We have some staffing changes for term 2. We will endeavour to email parents and students where there are changes taking place, but we have some staffing changes to change. Beth Wigg leaves us to pursue a career in a different area of education. Beth has made a big difference in her short time here at TC, most recently as a Head of House. I would like to take this opportunity to thank Beth for her tireless work here at TC, and want to wish the best in her new career direction. We have begun the process to appoint a replacement Head of House in as short a time as possible. If there are any concerns in the meantime, please forward them onto the Community Leaders of Ceri Davies (CDA@tc.vic.edu,au) and Veronica Pender (VPE@tc.vic.edu.au) who Beth has been working with to ensure a smooth transition is possible. We have a few other staff leaving us at the end of the term. David Bentley joined us for term 1 only of this year as he is about to undertake another adventure exploring the Americas. This is the 5th time that David has worked with us, and we hope to be welcoming him back to the community in the future. Rebeka Sekulovski finishes her term with us, where she has been replacing Athena Iliadis who returns in term 2 from her long service leave. We also welcome to our team for term 2 Sarah Lockner, who has already begun here at TC replacing Ashlee Wolfe who is on maternity leave, Neil Metcalfe (who has been working with us this term) who will replace David Bentley for the remainder of the year and Guy Dickson who will be working with our PE and Maths department for term 2. These have now been released on Compass. To find these, look for the progress reports tab on Compass. For those new to the system, we do not print reports to send to you. This is the first year that we have trialled termly reports to ensure that students progress is reported through a short summative comment. If there are any issues, please forward these to Matt Daly, our Assistant Principal who has been overseeing the reporting process (using MDAL@tc.vic.edu.au). Thank you to all who submitted suggestions for the hoodie colours to be on offer in term 2. We will be releasing the choices available at the beginning of term 2 so that you can place an order. We will let families know when the order process is open. The process has now been completed for the election of the 2018 College Council. The College Council @ TC plays an important role in helping TC reach its goals as set out in our School Strategic Plan. In 2017 the College Council had a mammoth year in leading the process to develop a new School Strategic Plan and then carrying out a Principal Appointment process, and in 2018 have already set some areas to help the school meet its goals. Some students at TC are running a Templestowe Community Market and we would love you to come! It is held on the 28th of April from 9am - 2pm and if you are interested in holding a stall contact @templestowemarket@gmail.com. There will be food, craft, fresh produce and live music! Please see the attached document below for the key sports dates in term 2 and when training will take place for each age group. This will be loaded in students compass providing they have completed the term 2 sports survey which has been emailed to students. If you would like to participate in AFL, badminton, netball or soccer then you must complete this to be involved. The Athletics Community Cup will take place in week 2 next term and is a whole school event that all students are required to attend. More information regarding this will be available at the start of term 2. Happy Easter! Over the next week you may receive an SMS, from TC through Compass, over attendance. This SMS is automatically sent if a student has been marked as absent during period 1. It is a priority of the Department of Education, and of ourselves that all students are accounted for during the school day. The SMS, which will arrive at about 10 am, will tell you that your child has been marked as an "unexplained absence" during period 1. If your child is away and you have marked this on Compass already or you have rung our attendance line to leave a message, then you will not get the SMS. If you receive the the SMS and your child is away from school, please log onto Compass to record the reason for this absence. f you do not do this you should expect a phone call from a Head of House to follow up with you at some point later on in the day. We would like to keep these phone calls to a minimum, so please log onto Compass to record an absence if this is known. Our staff are taking a lot of care to mark rolls accurately to help this process. If you know of an absence, please log this on Compass so that we can account for everyone here @ TC. A reminder that Mop up day is next Monday 26/3/2018. Students who have not been photographed should report to the Resource Centre on Monday Morning. Staff who have not had their photographs taken should report period one or two if not teaching otherwise at recess. Currently the Compass order link is down. This will be reactivated and we will let you know when this is the case. When ordering the packs the group shot will be the SSDP group and SSDP teacher. Families will be alerted via email when sibling and other photographs taken on the day are available to order. School Hoodies are still available to collect from the Resource Centre. All students need to collect this and sign for them when they collect them before school, at recess or lunchtime, or after school. 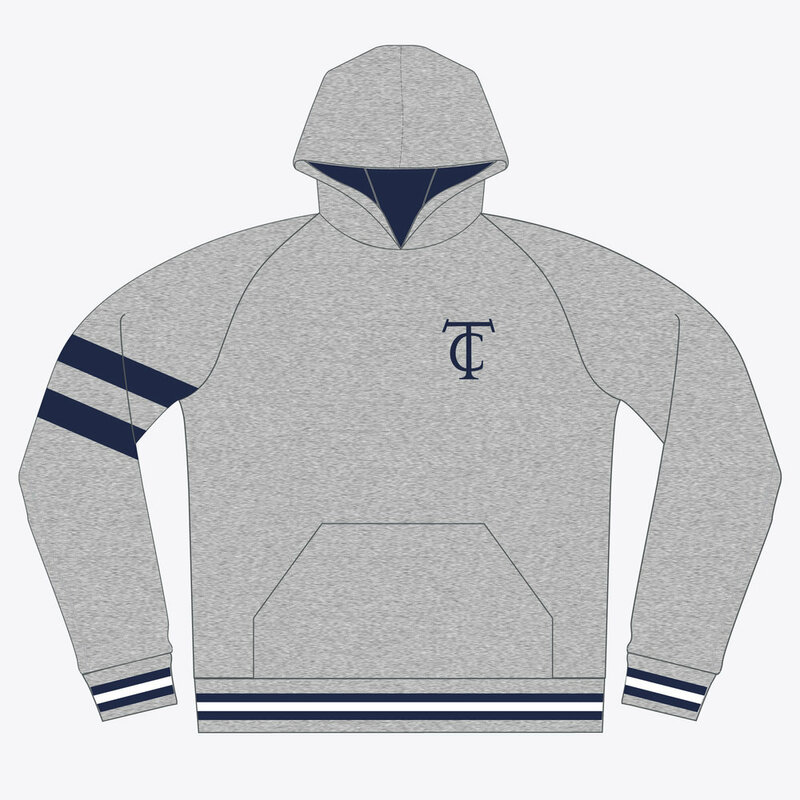 It is great to see so many students and staff loving the new TC Hoodies. I have had many student enquire if we will be doing a new order just students that have missed out. The answer is yes! If you would like to suggest a change to these or a new colour please email me by MONDAY 23rd MARCH. This is so I can hopefully contact reform and open a new order before the holidays. Please note that the campus uniform shop will be CLOSED on Thursday 29 March 2018 (last day of Term 1). TUESDAY: EMR swimming- please meet at the sports centre at 8.30am in sports uniform. THURSDAY: Term 2 inter school sport sign up closes. Sports on offer are AFL, badminton, netball, soccer. The link to the survey has been emailed to students and is also available on the compass newsfeed. TERM 2: The TC athletics carnival will be held on Monday 23rd April at Doncaster Athletics Track. More info to come. Our names are Zahra, Emma and Willow and we are students at Templestowe college with a dream to make a difference in the lives of others. On Friday the 23rd and Wednesday the 28th of March we are screening two family movies as a fundraiser to help the innocent civilian victims of the Syrian war. Entry to the movies (which are at PAC) is free with the option of a gold coin donation. We will be selling food on the day so please come and buy as all the money we make will go toward the ‘Doctors Without Borders’ and ‘Islamic Relief Worldwide’ charities. Both charities have been checked on charity navigator and have a rating of 4 out of 4 stars. We have arranged the movie so that parents can come and enjoy, and it ends at 3.15 leaving enough time to go and pick up any primary school children 😊 both movies have a rating of PG. People of all ages are welcome, please attend and help alleviate the crisis currently occurring in Syria. Please find below information on clubs taking place @ TC in Term 2. Exciting news! School hoodies were being delivered to SSDP groups today!! If you did not collect yours today, students are able to collect them from the RC before and after school, and during recess or lunchtime. All hoodies will need to be signed for when collected. 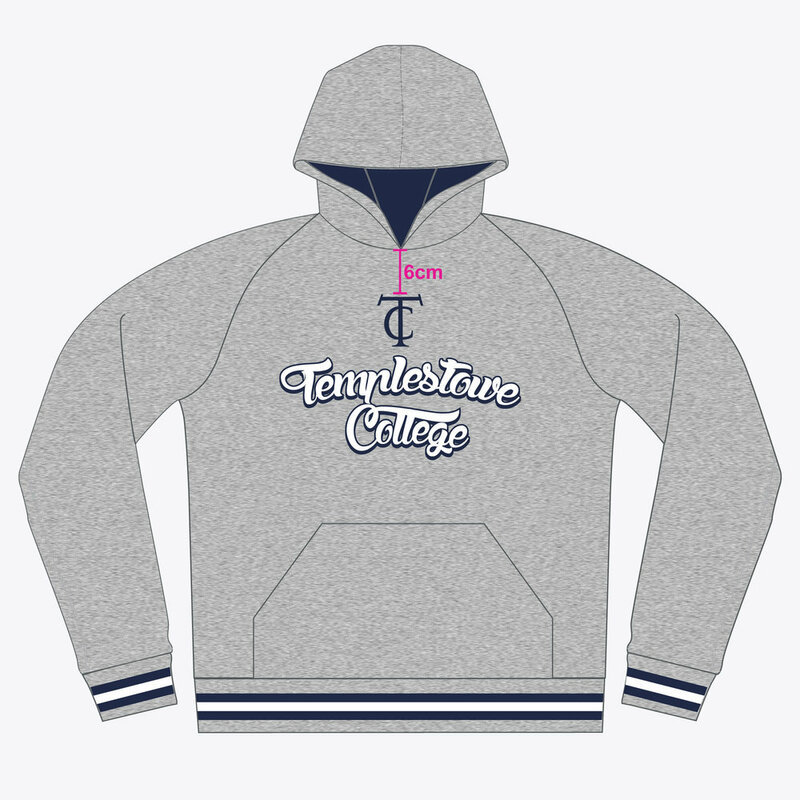 Please also note that all hoodies have been labelled already with a students TC code. We have our Student Parent Staff Interviews taking place over the next few weeks. These have been available to book on Compass. As for some these will be your first ones here @ TC, below are some FAQs. A reminder that new panorama morning bus times start on Monday. The announcement can be found below. The term 2 sport survey has been emailed to students and is also available on the compass newsfeed. Students must complete this in order to participate in training and competition. Sports are AFL, badminton, netball, soccer. Thank you to those that enquired about tutoring during parent teacher interviews. The RC offers a range of tutoring for all levels with subjects including Math, English, Philosophy and Sciences. You can find the attached schedule of tutors Monday to Friday. Please email the tutor directly to sign up. Raffle tickets were distributed during SSDP today (eldest child only). For those students that weren’t present, we have mailed the tickets to the primary family. This is a great opportunity to raise funds for Templestowe College and the Manningham community. Additional raffle books are available from the General Office. Please return all ticket butts, money, and/or unsold tickets to the General Office by Friday 20 April 2018. Please note that it is important to return tickets regardless of whether they are sold or not. For more information, please see attached letter. From now until the end of Term 1, Thursday 29 March, there will be several Vinnies bins positioned outside the General Office for donation of all good quality clothing. This is a great opportunity to donate unwanted Templestowe College school uniform. Please complete the “Request to Sell Second-Hand Uniform” form below and deliver to the General Office with the items to be sold. NB: Due to the change in the uniform policy, we cannot ensure the sale of items. If items do not sell within 12 months, they will become the property of Templestowe College. This purpose of the VCE handbook is to help students, parents, and staff understand how the Victorian Certificate of Education (VCE) works at TC. It outlines how the Victorian Curriculum and Assessment Authority’s (VCAA) rules and instructions are administered and contains important school policies and procedures all members of the TC community must be aware of. TC requires all VCE students (Units 1 - 4) to ‘acknowledge’ their understanding of our VCE policies & procedures. Students can access the online form via their email and/or their Compass Newsfeed. Please note that at the end of the term classes will run up until 3:30pm on Thursday 29th March. Please find below an updated TC dress code following on from consultation with students, staff and parents. Please find below two files on our upcoming TC Photo Day. One is a page explaining the day, the other is a flyer for the packs that you can order. Please note that students do not need to wear school uniform for this day. Due to the withdrawal of a candidate voting is no longer needed in the College Council Elections. Please dispose of your forms.